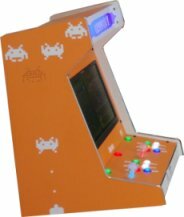 Play arcade GAMES, have a competition...! HOW POPULAR WILL THIS BE at your event….and our pricing includes OUR truck delivering and setting up the machines. We use no sub contractors…you are dealing with NCPCS.com Delivery is FREE and the Pickup Fee is only $25.00 anywhere in the Triad area of NC.) Rent for as long or as short as you wish.. Here at NCPCS Renting no long term leasing is required. Our $629. 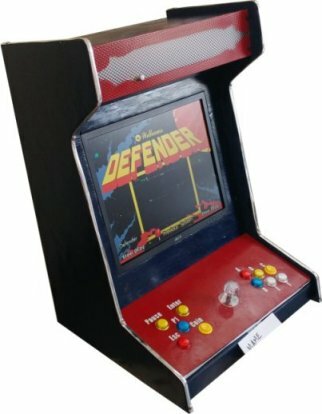 JAMMA 1299N1 Bartop has 1299 80’s Classics Games all packed into a medium sized two player commercial quality arcade cabinet. 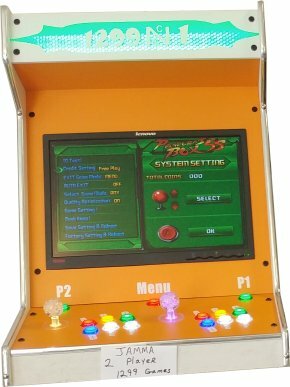 Includes a 19’ LCD monitor, laminated control panel with Lighted buttons and flashing color Joysticks. 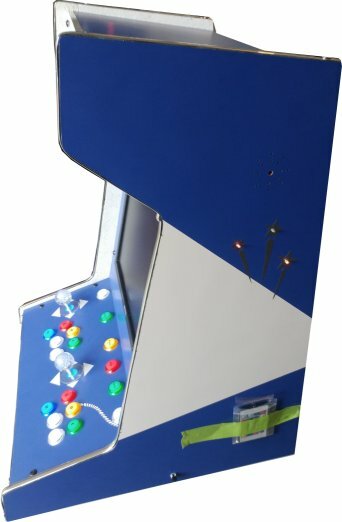 JAMMA 1299 N1 Bartop Arcade Cabinet, On Sale NOW $629 USD. Commercial Model Formica laminated is shown. 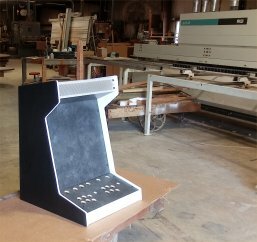 Sturdy construction, 29" tall with a 21" wide 21" square footprint: Commercial models include Formica laminated control surfaces, sides & top. 3/8" Safety plexiglass marquee. A brass hinged rear service access door in the back pannel and optional chrome edging. Fits up to a 19" monitor. 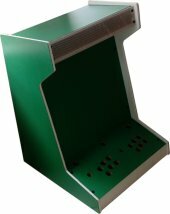 Formica laminated sides, top, lid, control panel and monitor frame for maximum cabinet durability. 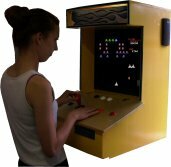 Furniture Quality arcade cabinets made to order each hand crafted, with pride.! 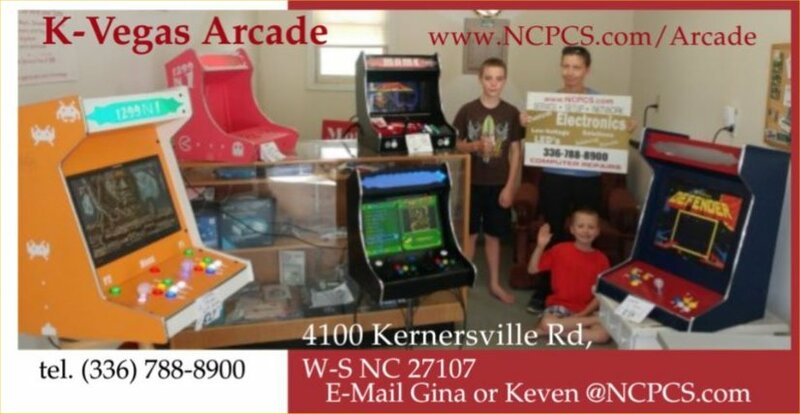 All of our arcade cabinets are hand made and assembled in N.C. the Furniture capital of the World. 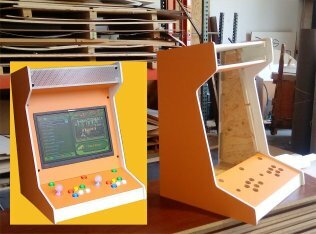 We also offer Smaller Footprint (Mini cabinets), Same 19" or Larger Monitor. Easily turn on, off or change volume with the integrated control panel on the side of the monitor. Choose options select games and more all from Joystick and Buttons. 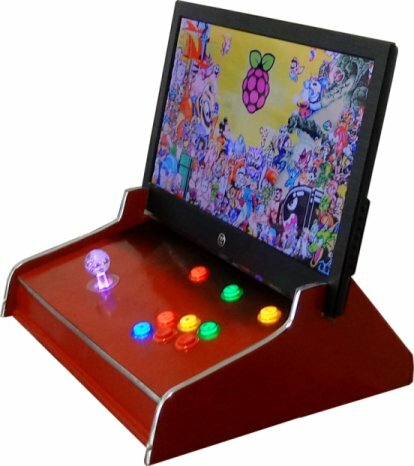 Fully configured and setup on a 21" x 17.5" footprint Arcade Base utilizing the RASPBERRY PI 3B+ Full Setup with 33 different gaming systems, total collection capable of playing over 6699 games. 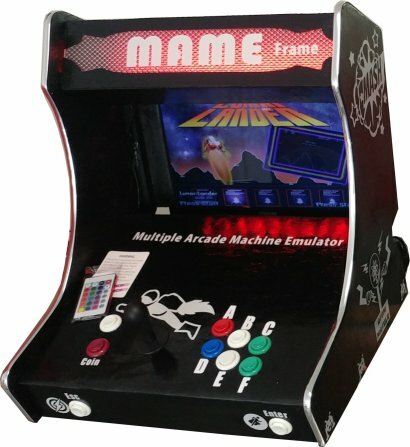 Options more Options.....> 1st in the Mini-Mame lineup; YES another way to go mobile,.. Use your LAPTOP and a MAME FRAME another NCPCS Multi-Arcade solution .......... Now only $185 USD. Laptop Console with a Small Footprint 16.5" x 17.5". for up to 15" screen size laptops. With Lighted Marque. Your exising laptop easily slides into the back of the Mini-cabinet. The control panel is removable while your laptop is installed to allow easy access to the Keyboard and Touchpad. Enough to keep you entirely in the MAME environment in the office or on the go. 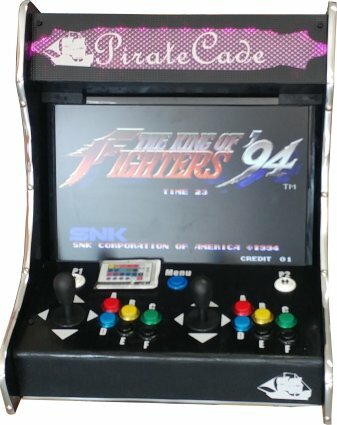 10 buttons and a completion style joystick. Your laptop slides into the back slot and the USB control panel is removable to access the keyboard for typing. High intensity LED light banner is USB 5v and comes w remote. 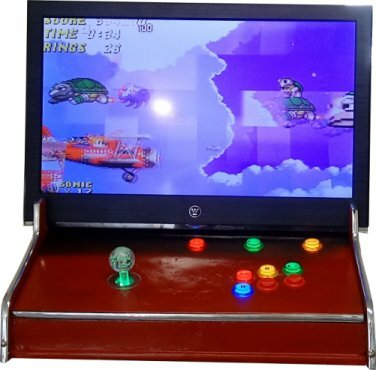 FULL SIZED bartop MAME, Gamming PC's... When Bigger is Better! Full sized 18"x23.25" Footprint. 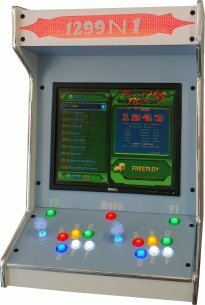 Multiple Arcade Machine Emulator (Bartops),, Setup and Running with Your Name on the Marque... Volume control, remote for marque lights, lighted buttons a lighted joysticks, chrome trim. Choose any color you like with a 2 week lead time. Starting at $529 for one player and 2-Player for only $729. Free Delivery anywhere in the Triad areas of NC. Our games are 100 percent operational every light, switch and speaker. Routine Preventive Maintenance. To catch breakdowns before they happen. Partner Opportunity,.. Turn unused space into Profits sometimes at NO COST TO YOU.. Sales commissions on games you sell with timely and detailed collection reporting to Coin-Op partners. Multiple machines available for your Home, Hotel, Lounge or any Special Event. 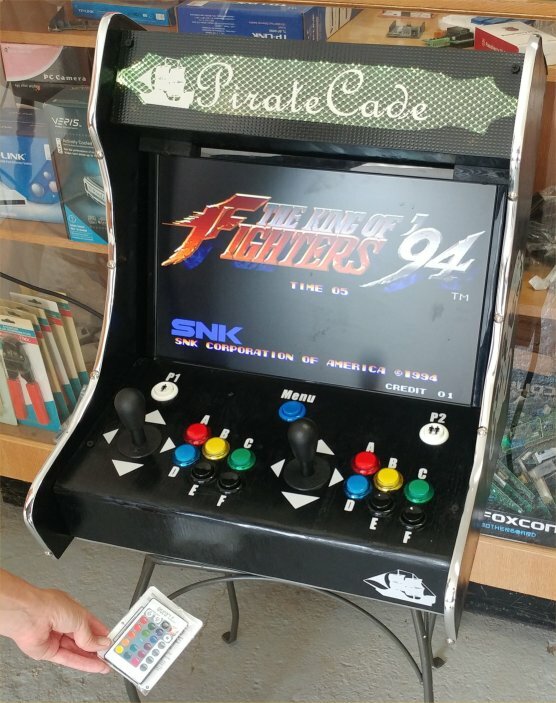 We stock cabinets, controllers, buttons, joysticks, switches, speakers, accessories and much more. Welcome to NCPCS, Your premier industrial and consumer electronics service maintenance and repair facility. Serving the Triad areas of N.C. since 1989 Located at 4100 Kernersville Road since 2001... See how we can help you maximize the efficiency of your equipment.